Lovely 3 Bedroom masonry home in quiet neighborhood with separate income producing 1 bedroom cottage, with fabulous views to the south shore from Hart bait Rams head.The main house was recently renovated with improved roof structure and kitchen renovation including factory resin-sealed Brazilian granite counters & new cabinets. 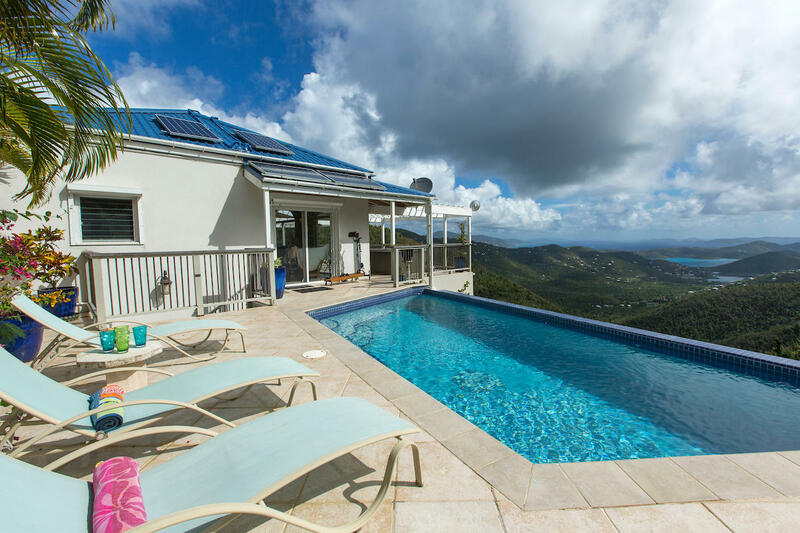 Stunning panoramic down island views from ''Bordeaux Breeze'' perched high on Bordeaux mountain on a spacious 1.03 acre parcel with 2 bedrooms, 3 bathrooms, pool and hot tub. The gourmet kitchen, great room (with pull out sleeper) and full bathroom are located on the main entry level that accesses the pool and hot tub. 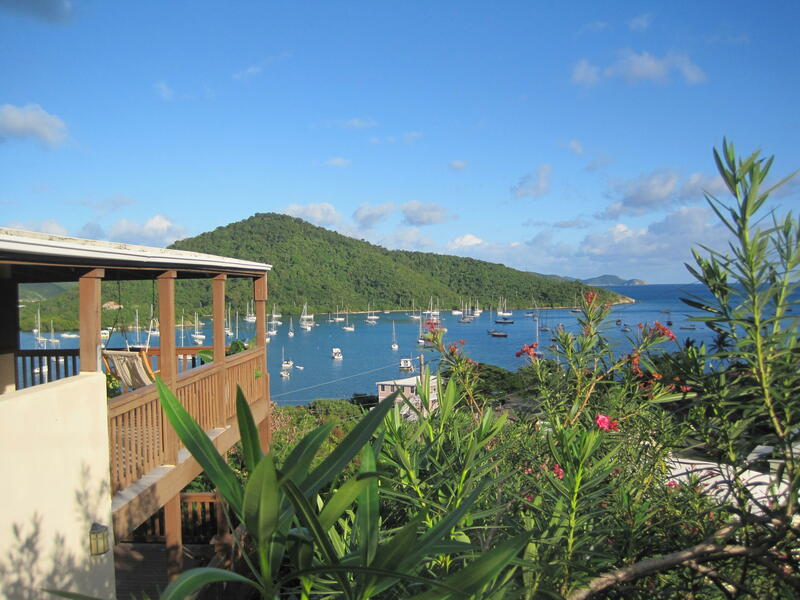 ''Hummingbird's Seacret'' is a beautifully appointed two bedroom pool villa located in Great Cruz Bay with deeded access to the nearby Great Cruz Bay HOA dinghy dock landing. FULLY air conditioned. Two king master bedroom suites are situated on either side of the central great room and each room opens onto the extensive pool and entertainment deck. 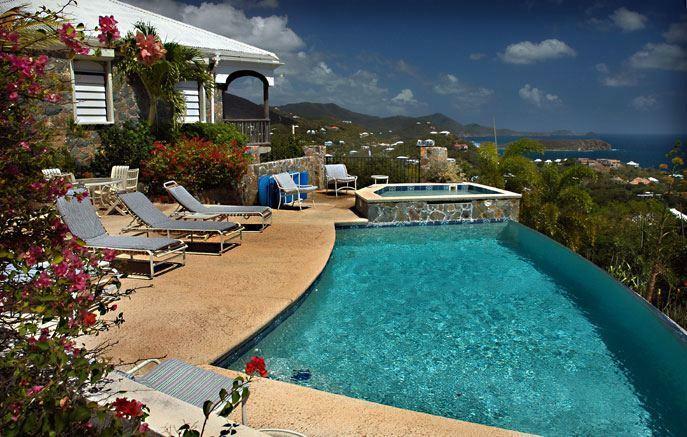 ''Caribbean Sunrise'' is an impeccably well maintained villa with panoramic views, privacy and breezes. Caribbean Sunrise would be a wonderful writer's or artist retreat. Room to add on more bedrooms and bathrooms. This pool villa features 14'' stone and masonry walls and masonry roof sited on 0.831 acres perched above Privateer Bay. 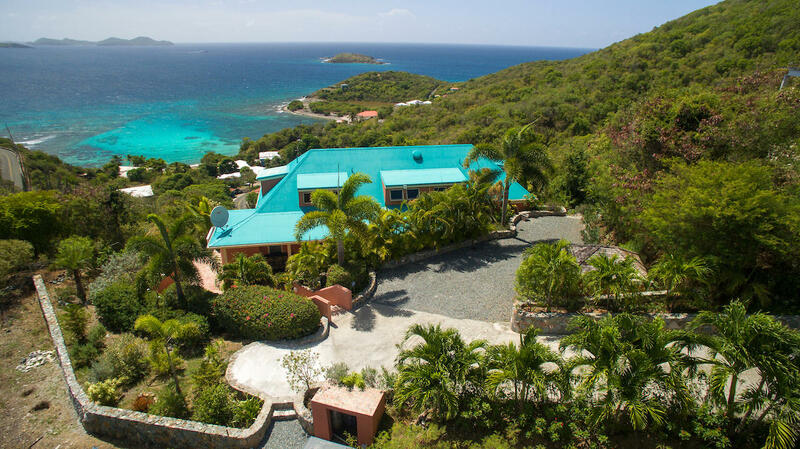 Some hurricane damage to this extraordinary top of the mountain home with sweeping 270 degree views, from sunrise to sunset, including Jost van Dyke and Virgin Gorda. Beautifully built with custom coral details everywhere. Expansive covered outdoor living spaces with built-in fireplace. This popular vacation villa sustained NO hurricane damage. ''Island Horizons'' is a well-built 3 bedroom x 5 bathroom pool villa perched high on Bordeaux Mt 700 feet above the sea offering stunning views that extend from the waters of Coral Bay, across St.
1 acre WATERFRONT building site on prestigious Ditleff Point, located next to the white sandy beachfront. Dramatic cliffs cascadng down to the rugged waters' edge of Rendezvous Bay from this long parcel. Impressive views of Ditleff Point's white sandy beach, stunning sunsets over Rendezvous Bay, Bovacap Point and beyond. Buyer and Seller shall equally spilt Stamp Tax. 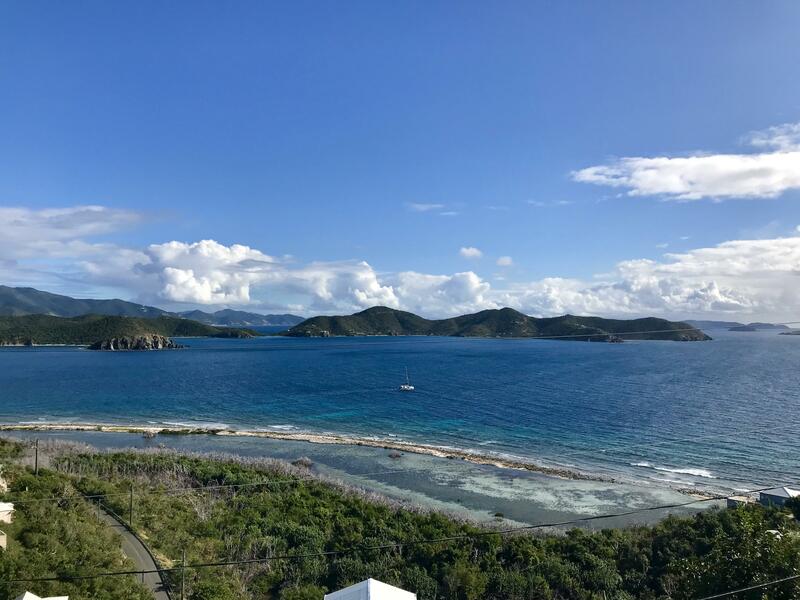 MOTIVATED SELLER WILLING TO ISSUE A CREDIT AT CLOSING EQUAL TO THREE YEARS OF HOA DUES ON TWO PARCELS TOTALING 1.34 OF WATERFRONT NIRVANA ON UNSPOILED LOVANGO CAY. 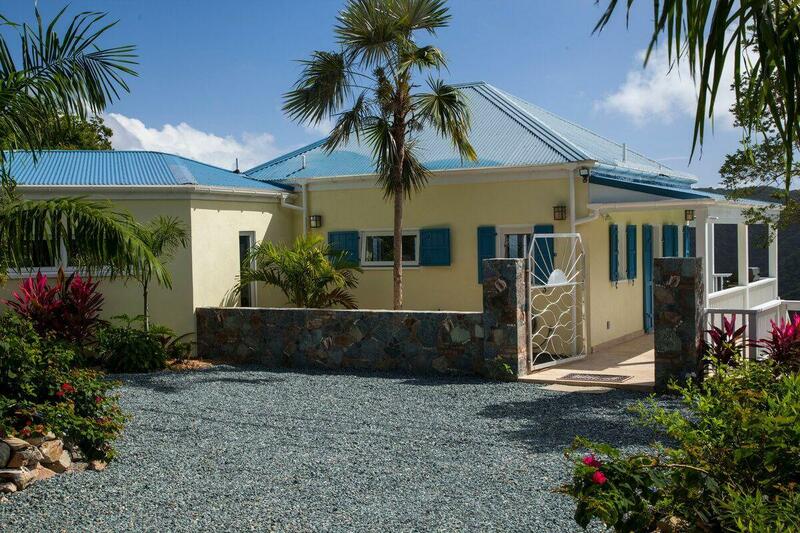 VILLA MADELINE is an exquisite 2 bedroom, 2 bath villa with gracious features looking over Estate Eden. Truly detailed from the brick entry paving to the fired clay tile roof, Villa Madeline has delights on both floors and the midlevel pool deck. Granite counter-tops, ships wheel over the front door, poolside barbecue and an outdoor rinse shower all make this a popular rental. Pink Horses is a professionally designed, two bedroom vacation villa located in Coral Bay, with breathtaking views and all of the amenities you could possibly wish for with the convenience of Coral Bay shopping, restaurants, horseback riding, sailing, beaches and other activities only a short drive away. 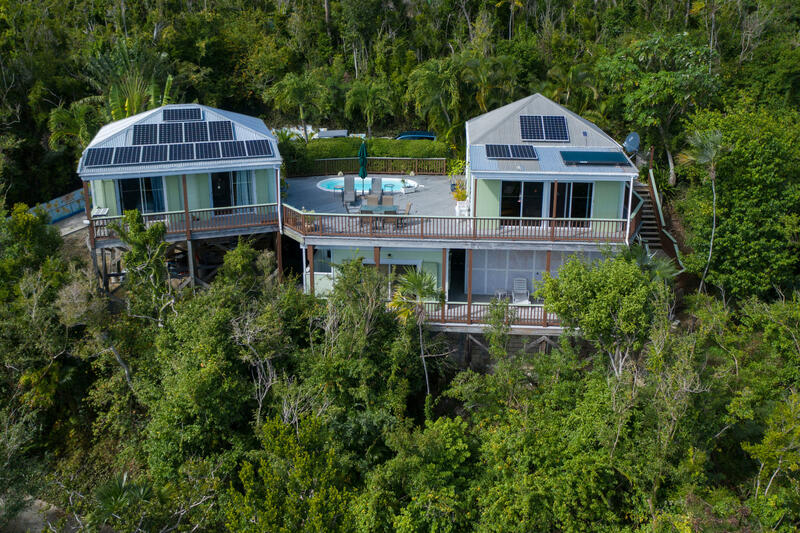 MOTIVATED SELLER WILLING TO ISSUE A CREDIT AT CLOSING EQUAL TO THREE YEARS OF HOA DUES ON TWO PARCELS TOTALING 1.55 OF WATERFRONT NIRVANA ON UNSPOILED LOVANGO CAY. An opportunity of a life time! 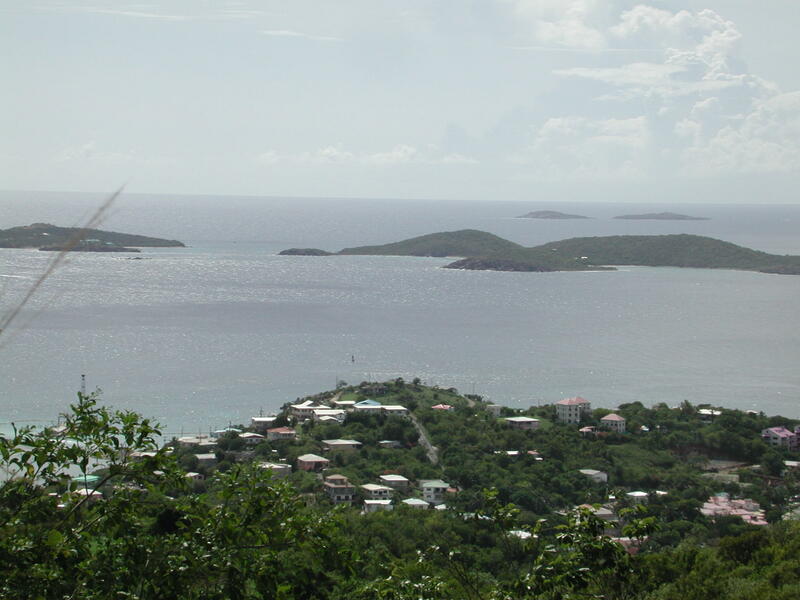 Own an income producing property on St. John. 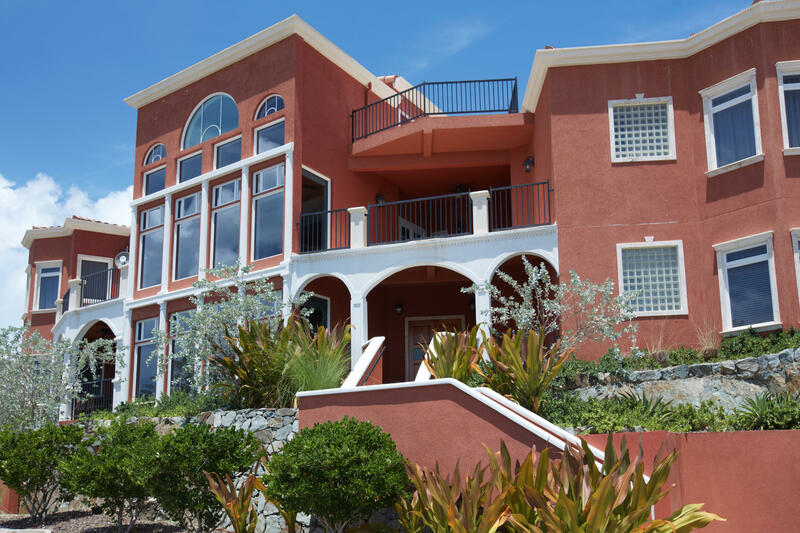 This residence is 150ft above sea level with beautiful water views, walking distance to downtown Coral Bay and all it's amenities. Opportunity is endless with this property. It has four separate units with private entrances. OCEANFRONT GALLOWS POINT LOFT UNIT 9C IN PRIME LOCATION! RECENTLY REMODELED this premier loft unit is just a stone's throw from beach, pool and hot tub! This beautifully decorated condo features spectacular unobstructed water views and magnificent sunsets enhanced at night by the sparkling lights of St. 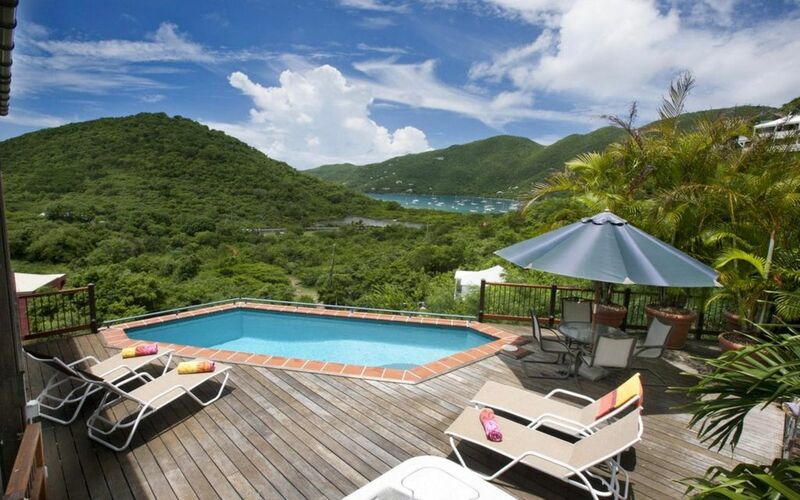 Someday Soon is a charming & comfortable villa with gorgeous views of Coral Bay and beyond. This successful short term rental features two master bedrooms with ensuite baths, AC & king beds. Someday Soon was remodeled and redecorated in 2016 to include new furnishings, new kitchen counter tops, new expansive wrap- around deck and upgraded pool. Location, location , location! 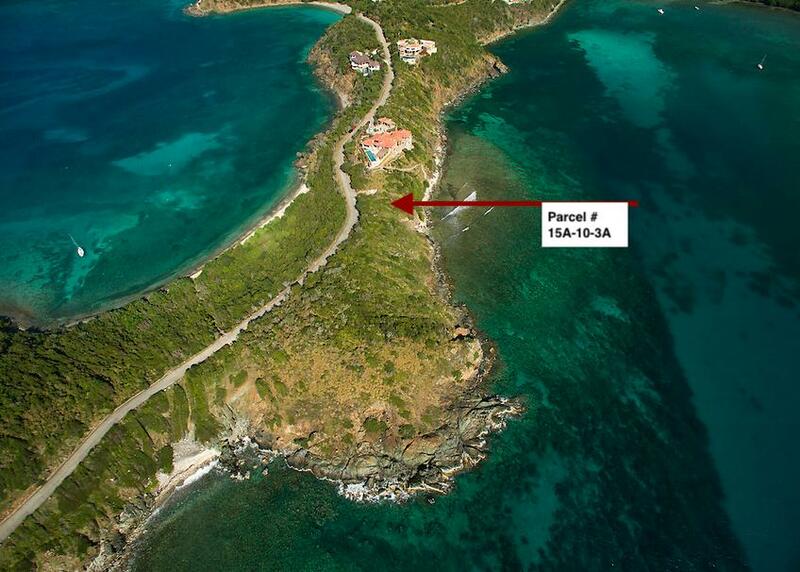 Close to town but quiet end of the road location on a spectacular cliff front / waterfront parcel in Boatman Point. 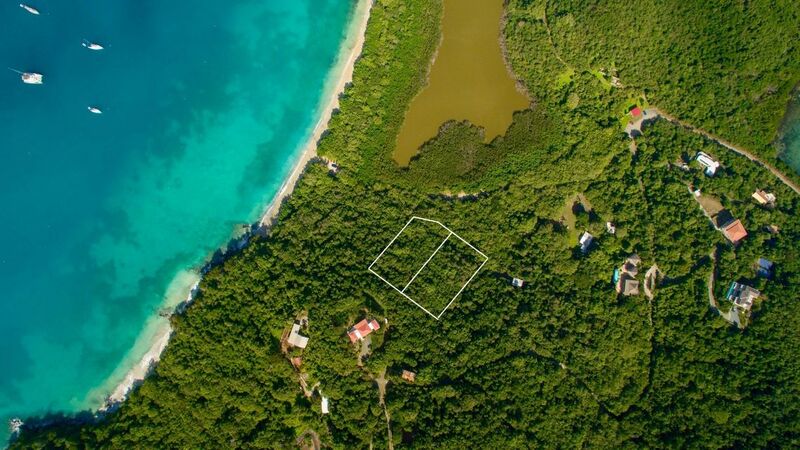 Hurricane damaged property with lots of potential.Panoramic views of Rendezvous Bay, Hart Bay and the Caribbean. Sounds of the surf and breezes! Two bedroom pod in need of repairs and main house to rebuild.4th downstairs bedroom needs a window. 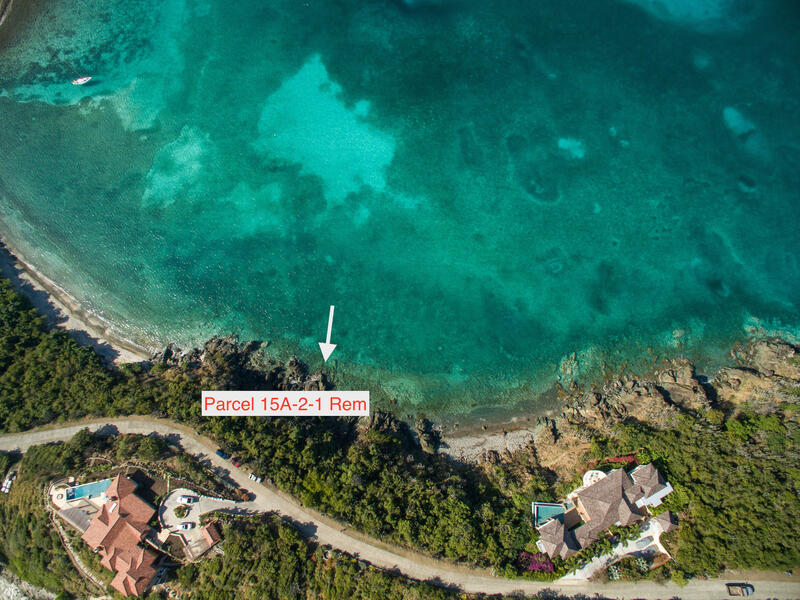 Opportunities abound with these two W-1 zoned parcels totaling 1.03 acres located less than a five minute stroll to the white sand and crystal clear waters of Francis Bay Beach. 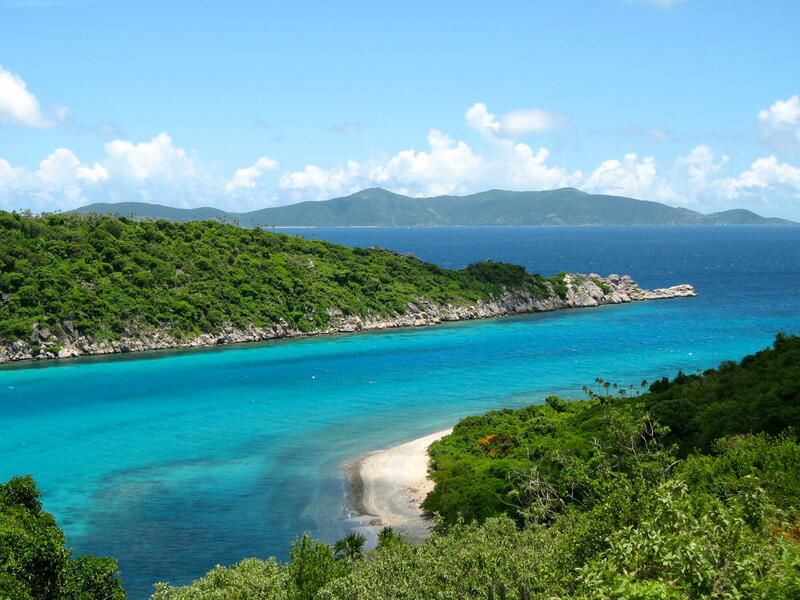 Build a single family estate, several smaller homes, a bar/grill, an eco-lux campground or any number of other possibilities on this uniquely zoned in-holding within the vast Virgin Islands National Park. 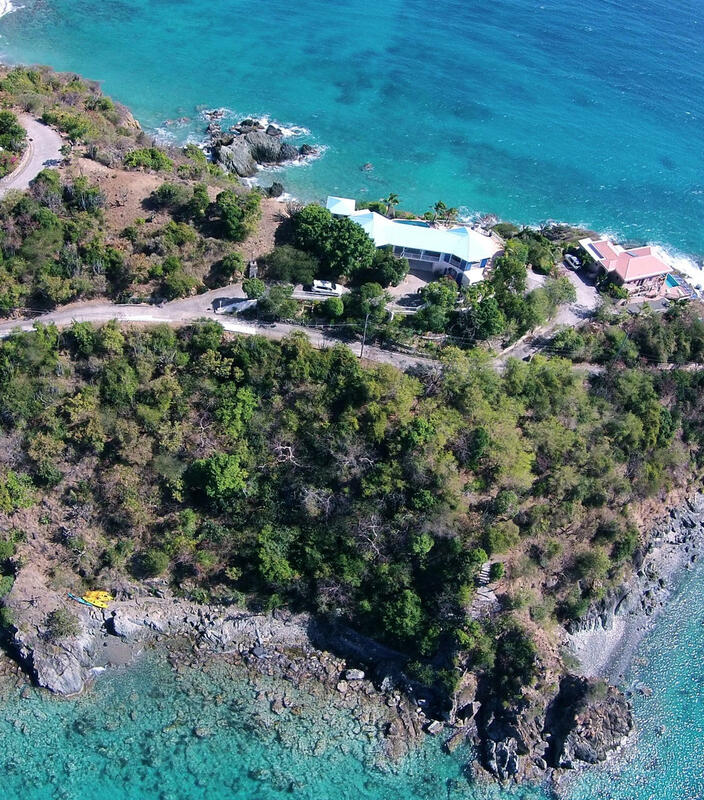 Magnificent WATERFRONT one-acre parcel perched atop a peninsula about 80 ft above sea level. 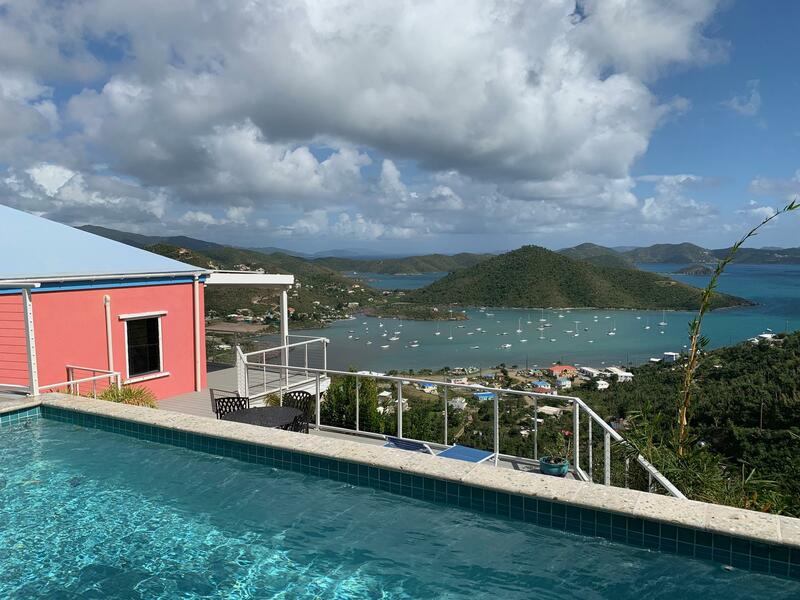 Enjoy serenity and privacy as you relax while watching the setting sun over Pillsbury Sound as the lights of St. Thomas begin to glow in the dusk with only the sound of the surf against the shoreline. 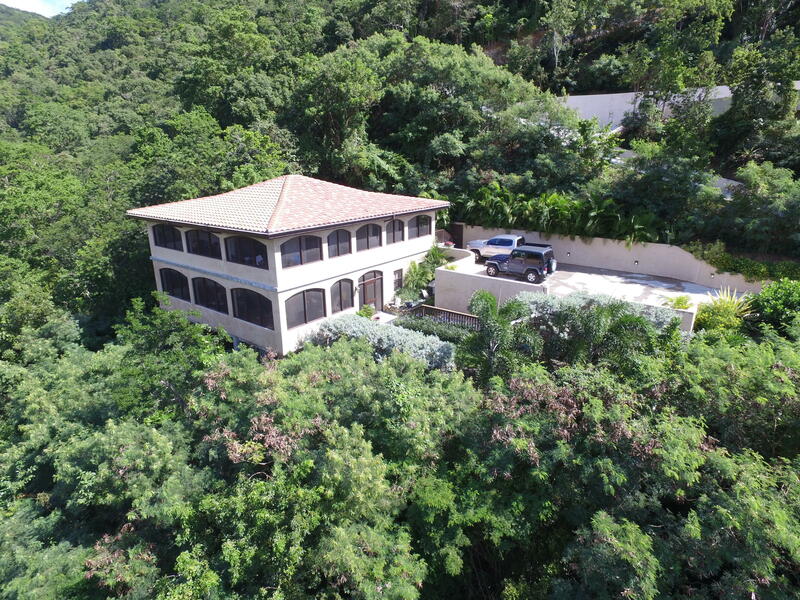 Perched high above Coral Bay and only 10-15 minutes from north shore beaches and Cruz Bay, All About the View is a private, two bedroom, masonry, pool villa in an ideal mid-island location. 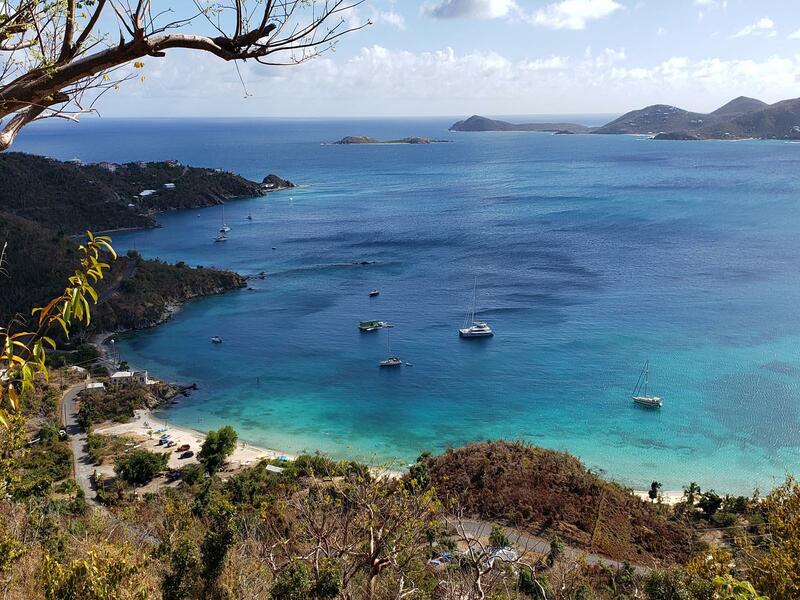 Enjoy expansive views from every room that features St John's serene East End out to the British Virgin Islands and beyond. ''Aria'', fabulous views & a solid masonry build. Unscathed by two category 5 hurricanes. 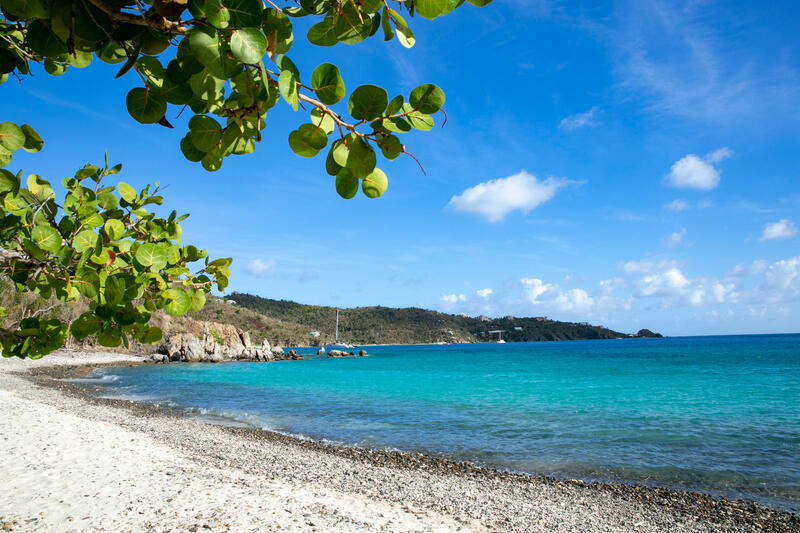 The location, Ajax Peak Rd., offering easy paved access and 5 minutes to one of the most beautiful beaches on St. John, Maho Bay. 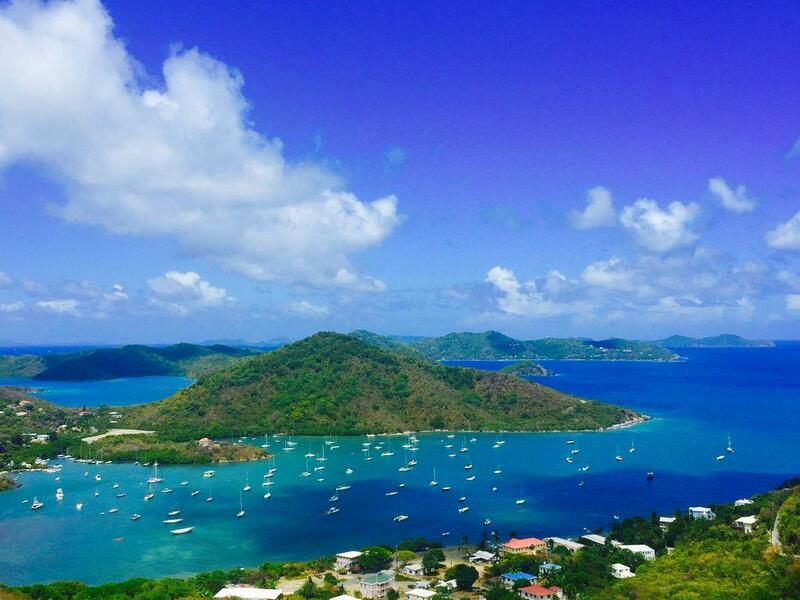 Enjoy the vistas of Coral Harbor, Flanagan Island, Norman Island & the East End of St. John. The 2 bedroom, 2 bath villa has the added bonus of a separate studio cottage. 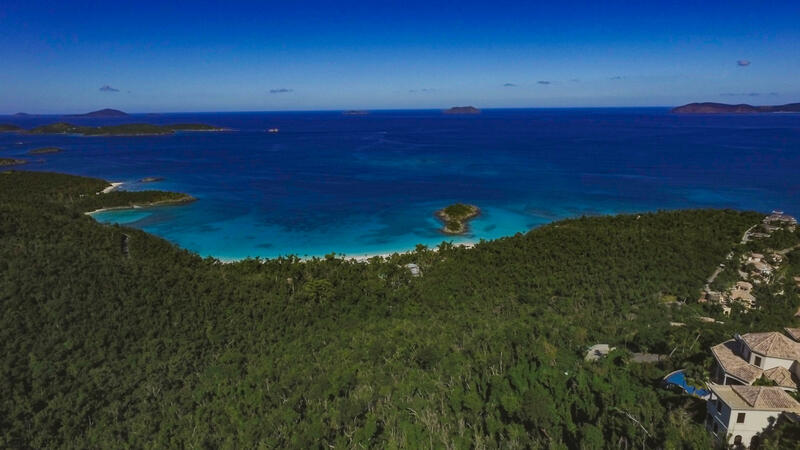 WATERFRONT ridge top parcel with unsurpassed panoramic easterly views to Ram Head, and westerly views of the turquoise waters' of Rendezvous Bay. Walk across the estate road to the commonly owned stone & brick steps to access the white sandy beach at Ditleff Point. 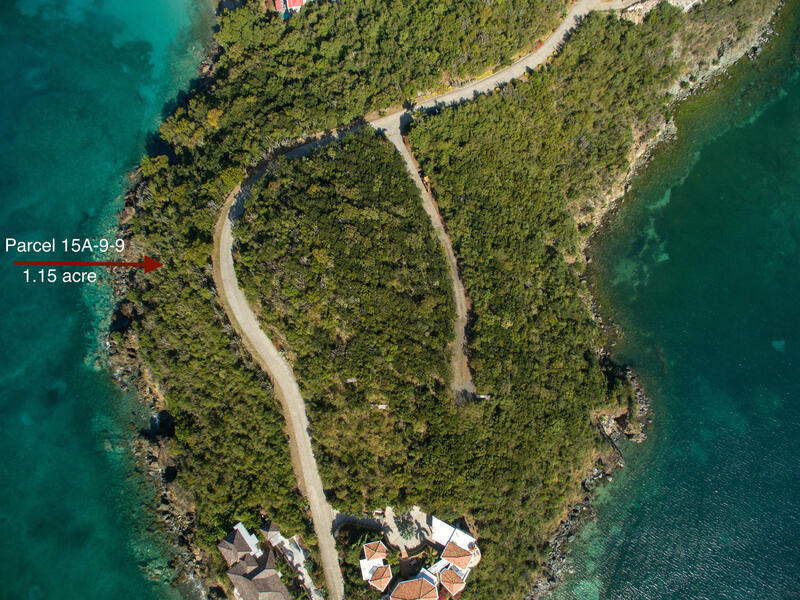 Over 1 acre of WATERFRONT on prestigious Ditleff Point, overlooking the turquoise waters' of Rendezvous Bay! Spectacular westerly sunset views. 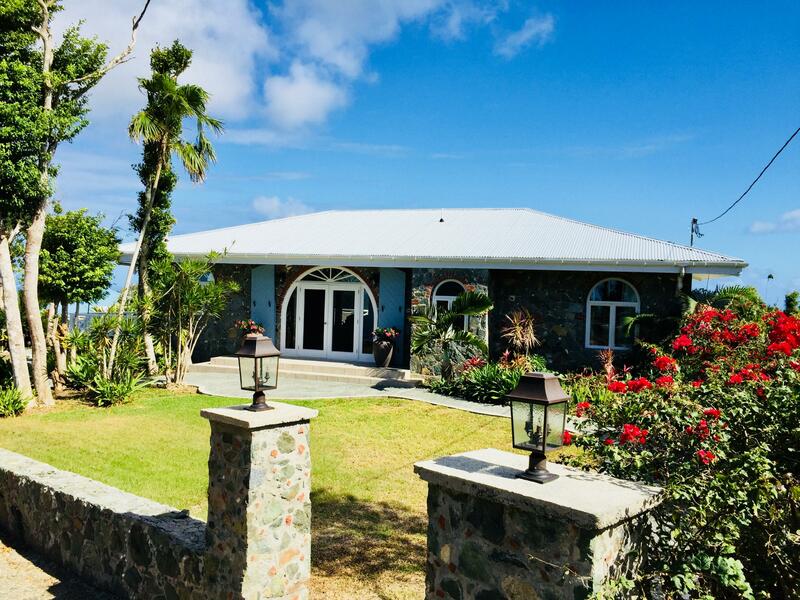 Gated peninsula with underground utilities, beautiful stone lined paved roadways with professional landscaping and a private common sandy beach at Ditleff Point. Buyer & Seller shall equally spilt the Stamp Tax. 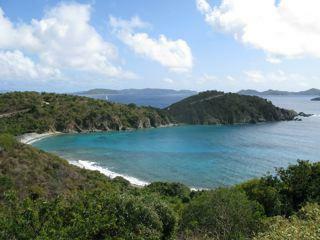 Expansive Eastern exposure waterfront parcel in prestigious Ditleff Point. 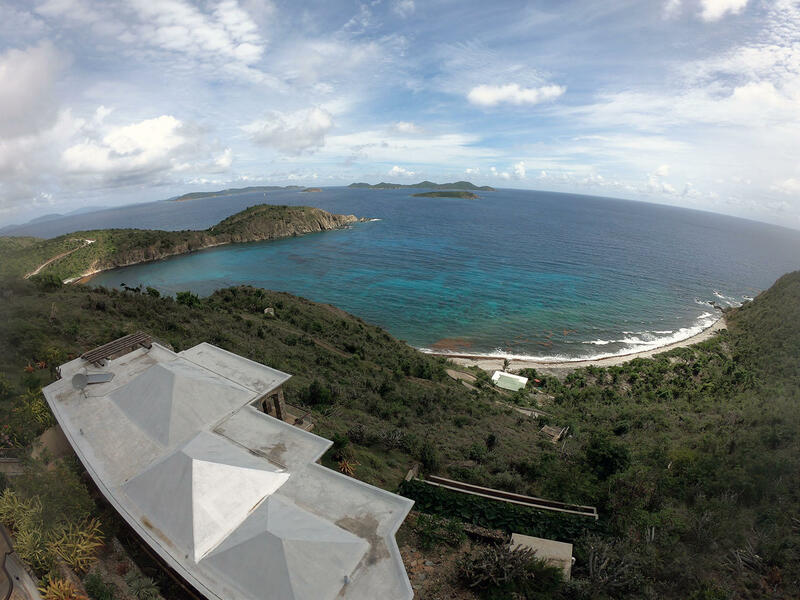 2.28 acres of panoramic views of Cocoloba Cay and Reef Bay to Ram Head. Delight in the waves and mist spraying off the magnificent cliffs below. Pristine landscape and privacy abound. LIVE IN ONE AND RENT OUT THE OTHERS! Impressive rental income from this two story masonry apartment complex which has been beautifully renovated with a brand new roof and is in ''like new'' condition. Exterior photos are recently taken. Consisting of four rental apartments - two 2BR/2BA and two 1BR/1BA units. 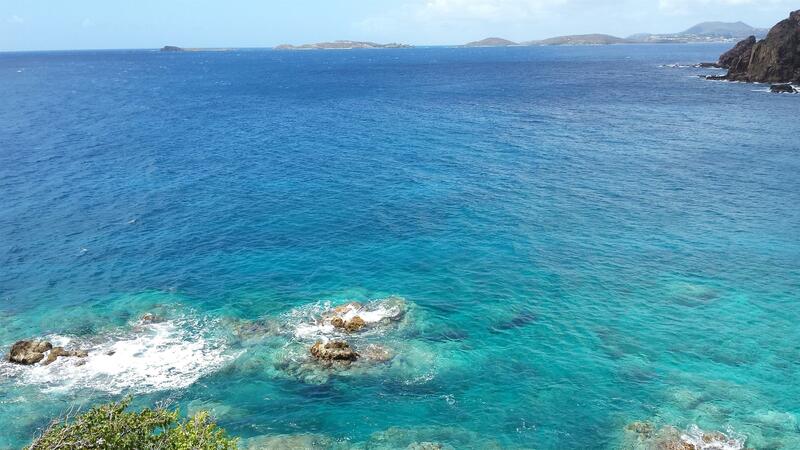 Beautiful views over colorful Rendezvous Bay from this Boatman Point one acre lot. Faces east to take advantage of trade wind breezes, sun rises and moon rises. Access from upper and lower roads. Down hill build and a short drive to Westin Resort and Cruz Bay. Michael Milne house plans available. Some seller financing possible to qualified buyer. Unbelievable opportunity to own a stunning waterfront home with expansive views, detailed finishes and a path to the ocean. This very successful rental home, is often fully booked by repeat guests. The deck is simply jaw dropping. 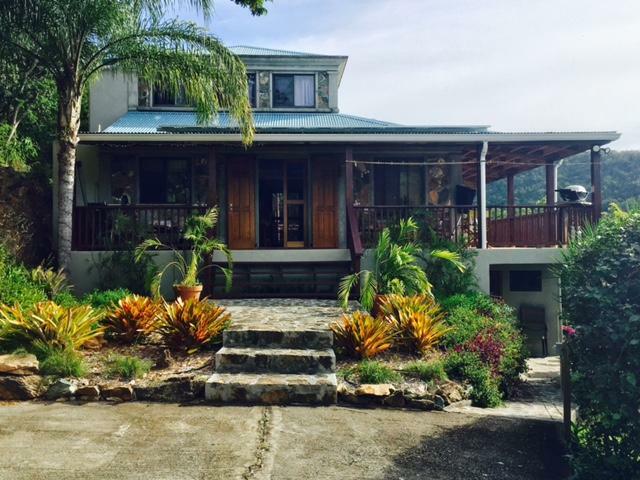 3 Air Conditioned bedrooms and 4 full bathrooms make it a perfect rental or family home. The home is fully recovered from the storms and freshly remodeled. 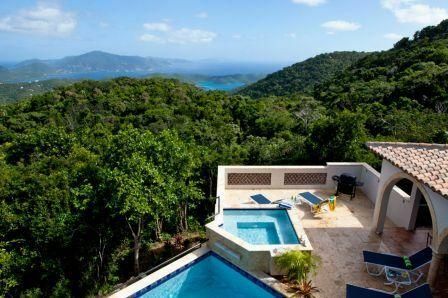 Large Residential parcel high on Bordeaux Mountain with sweeping views over Coral Bay to the British Virgins from Jost Van Dyke to Virgin Gorda. Large Bay Trees abound and access road is paved. Group Dwelling permit in place for Condo complex. Large WATERFRONT lot on Maria Bluff in the well established neighborhood of Chocolate Hole West. 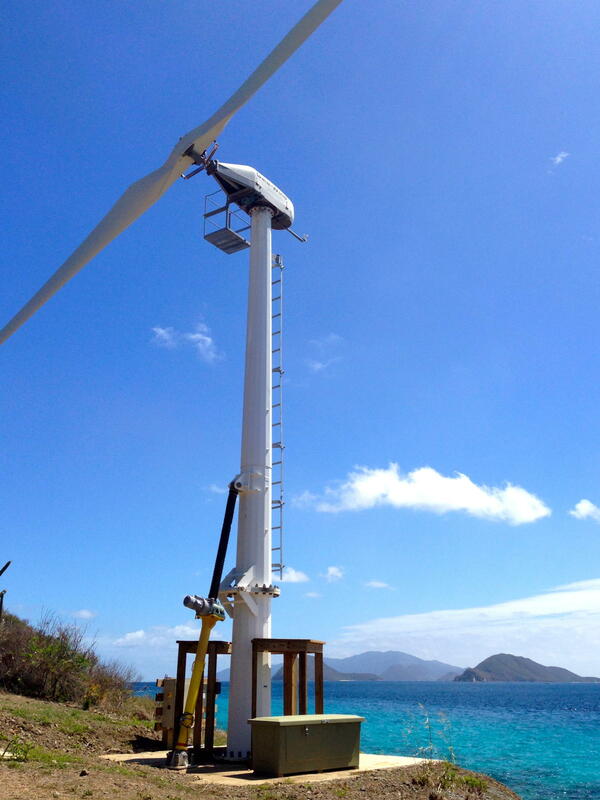 The parcel has sweeping water views of the Caribbean Sea to St. Croix as well as the outer harbor of Chocolate Hole. Easy downhill build. Deeded beach rights at Chocolate Hole as well as Hart Bay beach. This is the only vacant parcel for sale in prestigious Klein Bay! 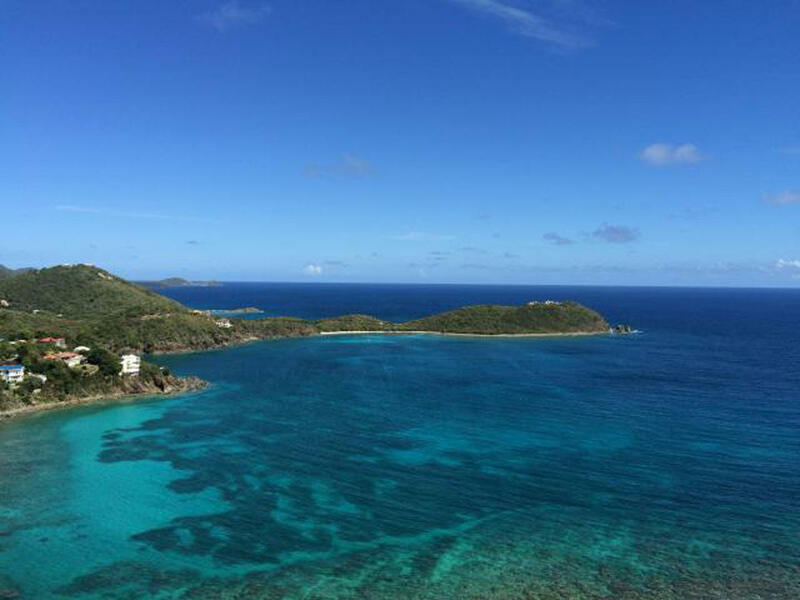 This gorgeous parcel is situated one tier up from the commonly owned HOA beach parcel, which affords excellent swimming and snorkeling. This desirable site can be accessed from the top or bottom of the parcel. 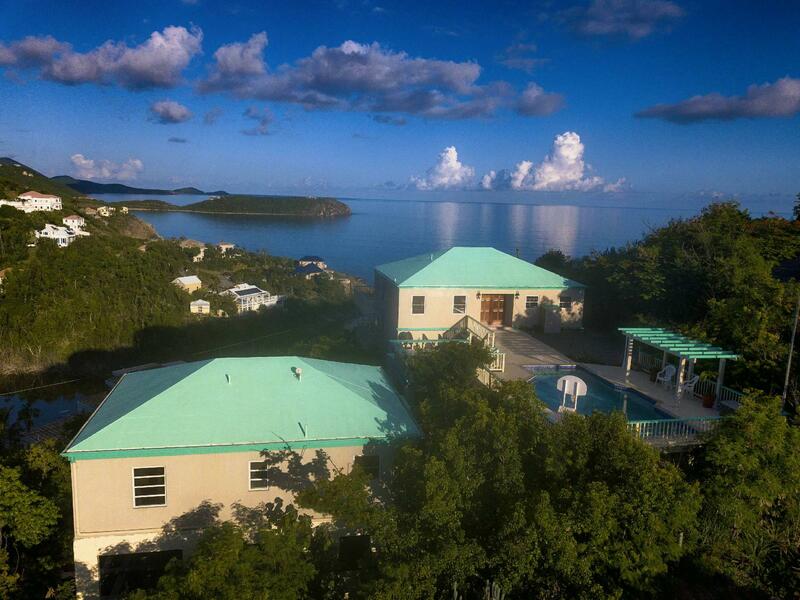 Spectacular south shore views overlooking Rendezvous Bay, Ditleff Point, Hart Bay and St. 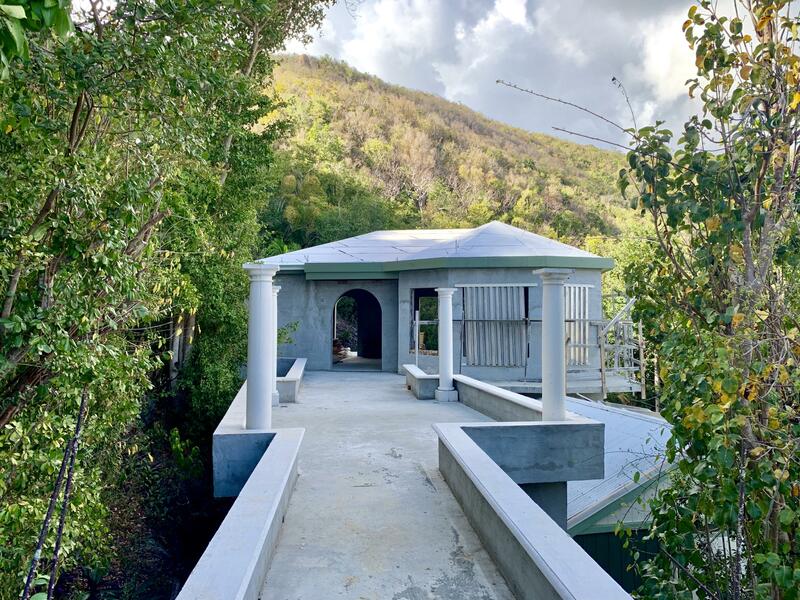 THIS CHARMING WEST INDIAN STYLE NATIVE STONE HOME features fluted concrete columns and an expansive wrap around deck! 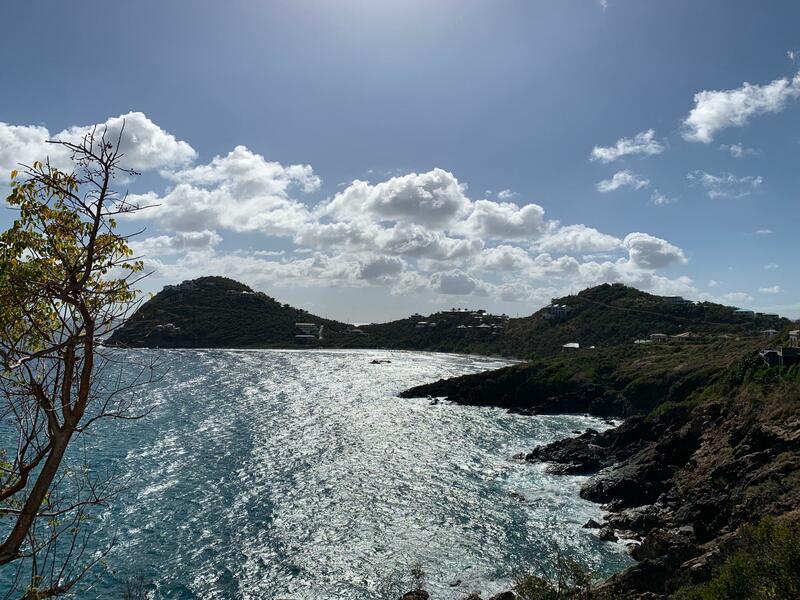 Set high on a hill and adjacent to Nature Conservancy land, this secluded one plus acre site, subdivided into two 1/2 acre plus lots, features stunning views from Ditleff Point to Fish Bay to Reef Bay and beyond. 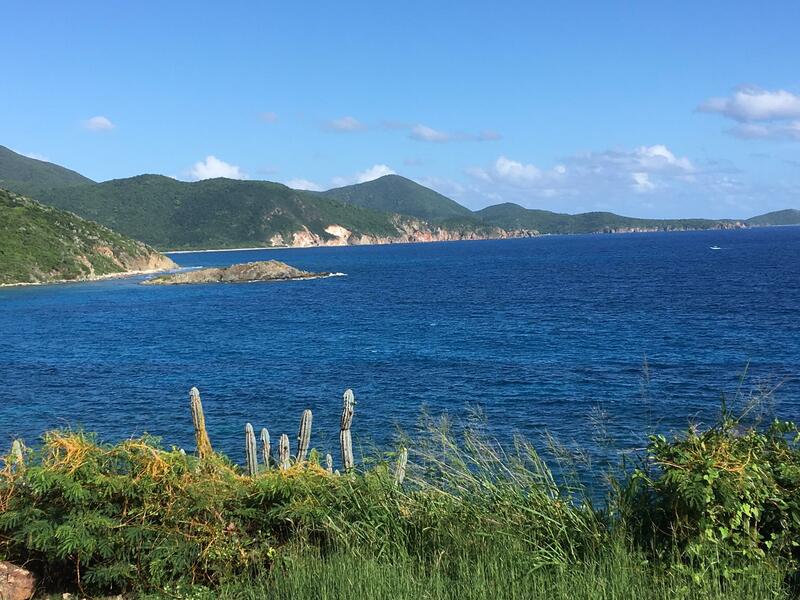 Striking water views & ample breezes from this Upper Peter Bay lot, ''Whistling Cay''. 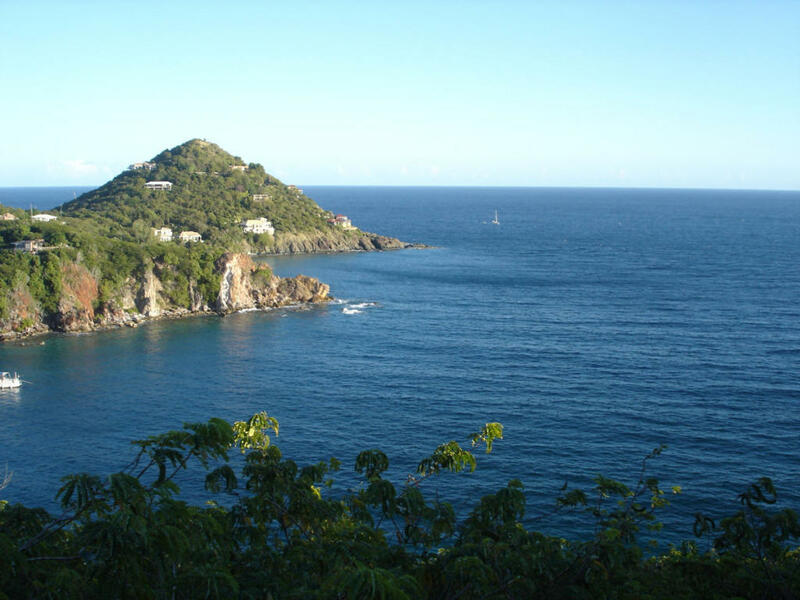 The gated community of Upper Peter Bay is located with in the National Park on the North Shore. HOA infrastructure includes landscaped, paved roads with u/g utilities. 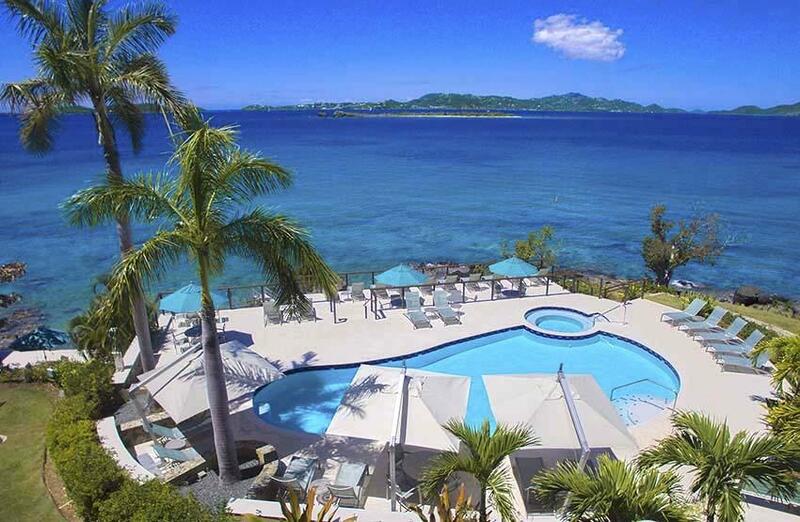 Located just minutes from some of the most spectacular beaches in the Caribbean. 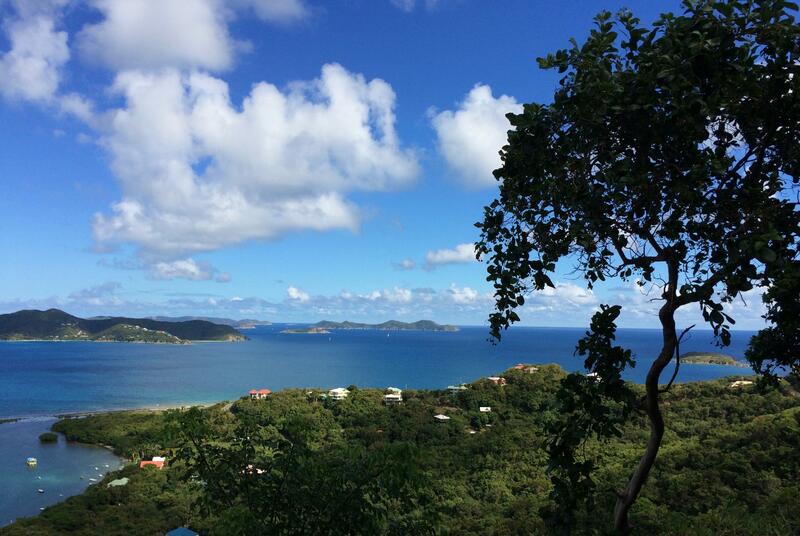 Breathtaking views from this large parcel at the peak of Dreekets Bay sub division. If you want the 'pick of the litter' this is it. 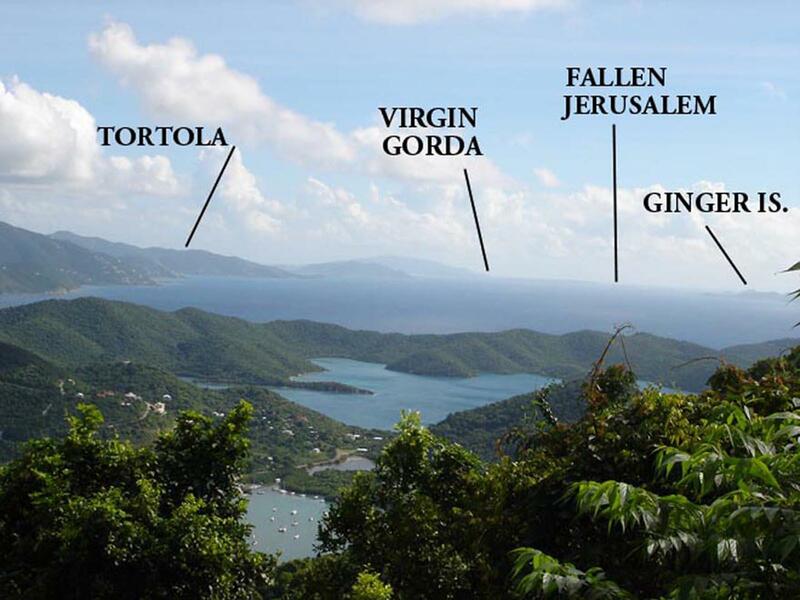 See most all of the British Virgins from Tortola to Virgin Gorda, Fallen Jerusalem and Peter and Norman Islands. Subdivision has underground utilities, beautiful stone walls and a common beach parcel. Seller will pay one half Stamp Tax. 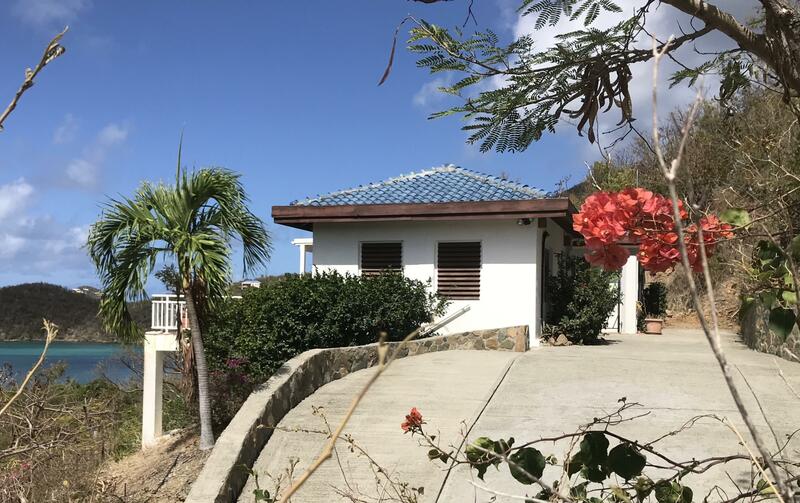 Horizon's Cottage and Captain's Cabin: Two separate cottages rented independently from one another!Completely paved access from Cruz Bay to Concordia. 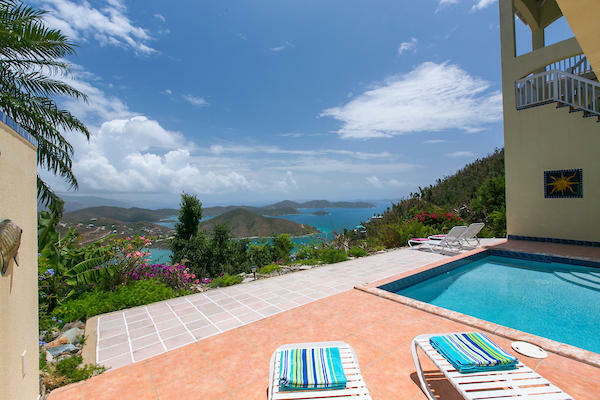 Incredible water views overlooking John's Folly, Coral Bay and the East End of St. John and the British Virgin Islands. Horizon's consists of 2 bedrooms with ensuite baths plus 1/2 bath off the great room. PRICE REDUCED!! !MOTIVATED SELLER! NO DAMAGE to structure or roof during 2017 storms! Rainbow Plantation, a large, private, end of the road, estate villa close to town, featuring a large 33K gallon pool w/diving board, & poolside wet bar/bath house. Extensive landscaping and native stone work throughout the large property which includes adjacent 0.98 acre lot. 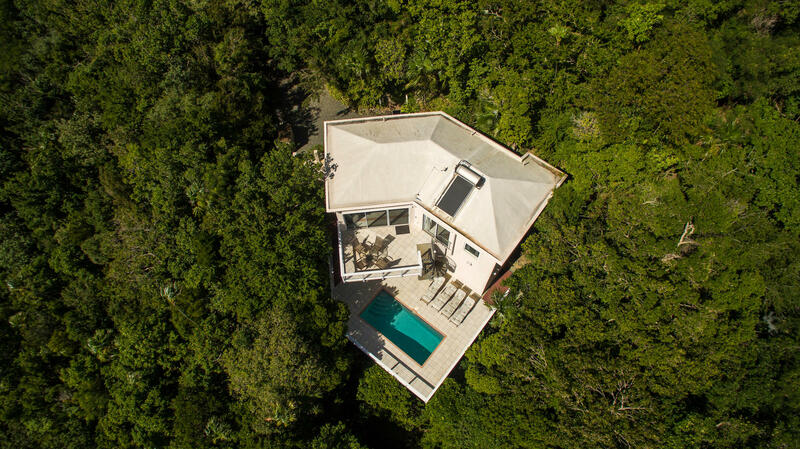 Gecko House is a well built, lovingly maintained masonry home surrounded by lush tropical vegetation overlooking Fish Bay. Enjoy the ocean breeze on the screened deck and listen to the surf below or sit under the stars and soak in the hot tub. Main house has comfortable living/dining area with newly constructed spacious bedroom and bath. Firenze is a 3 bedroom, 3.5 bathroom lower unit. The bedroom suites are beautifully designed and perfectly functional and include spacious walk-in closets. Additionally, all bedrooms provide plenty of privacy, and each is connected to its own bathroom. Sirenusa features an onsite gym, clubhouse, security, and professional landscaping. 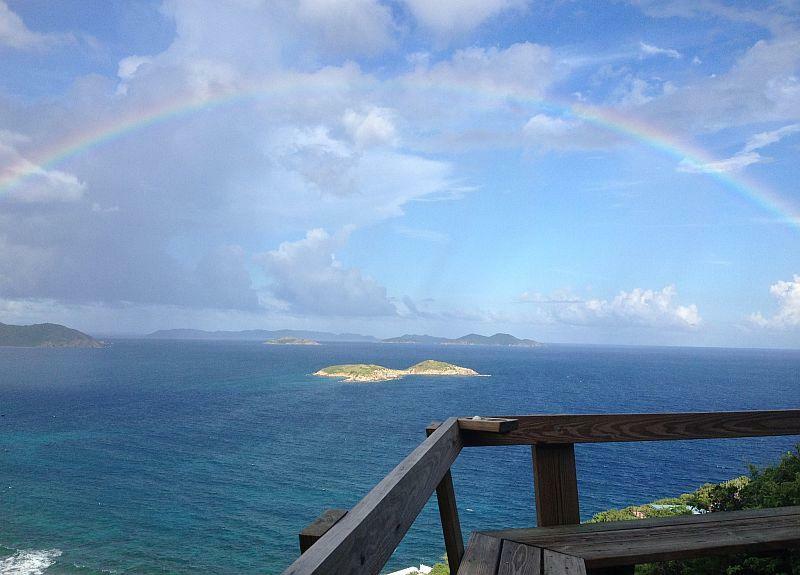 The evening sunsets over St. Thomas will take your breath away. Incredible opportunity to own a dock and 475ft of waterfront property! Zoned W-1 and ready for development after storms destroyed the residence. 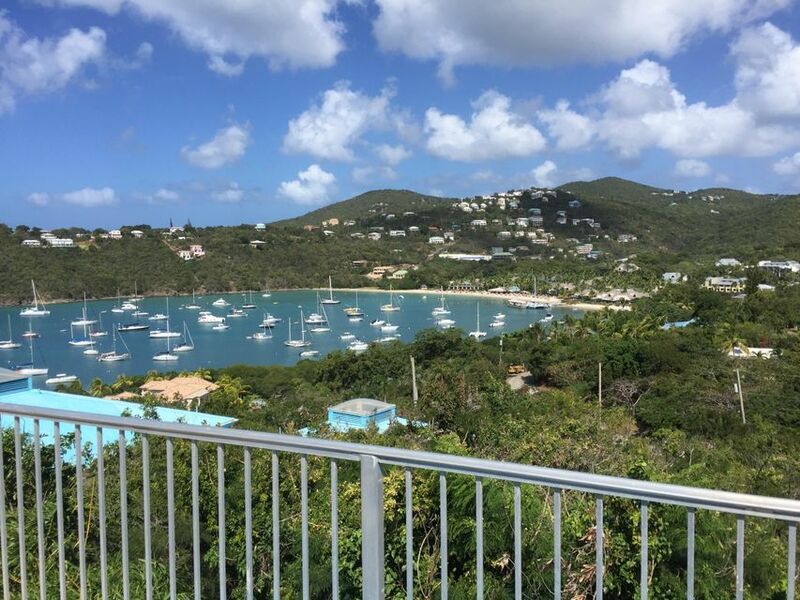 Infrastructure includes 38 ft x 31ft dock, stairway with railing to dock, stone/concrete walkways & stairways throughout the property including entry to both sides of the rocky point waterfront, driveway, 2 cisterns, & septic remain in place. 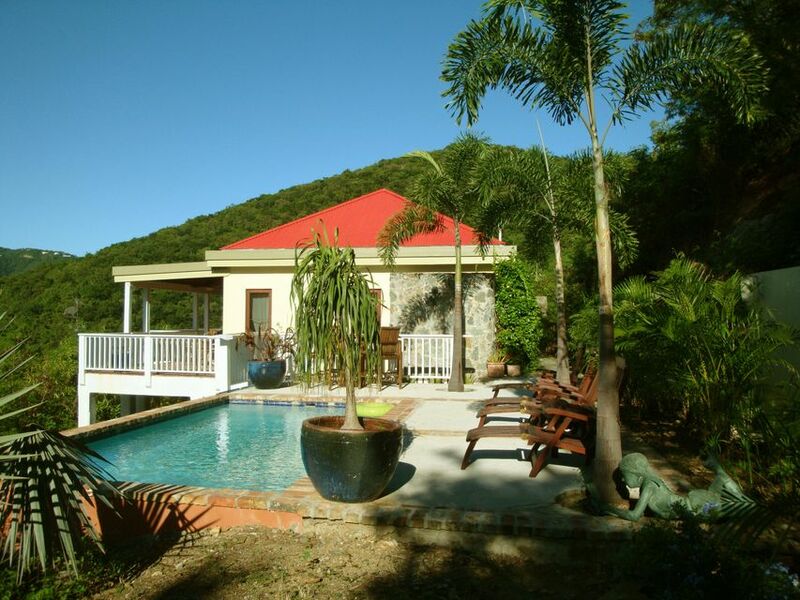 Caribbean style home in a lush, private setting with breathtaking ocean and mountain views. 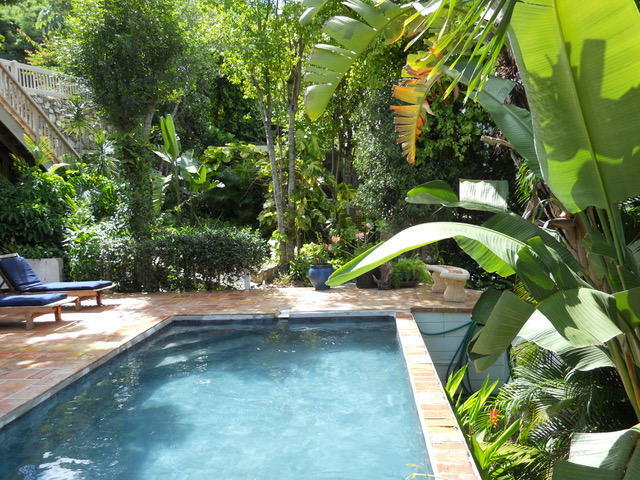 Located high on Ajax Peak just a short drive to Coral Bay or the famed National Park beaches. 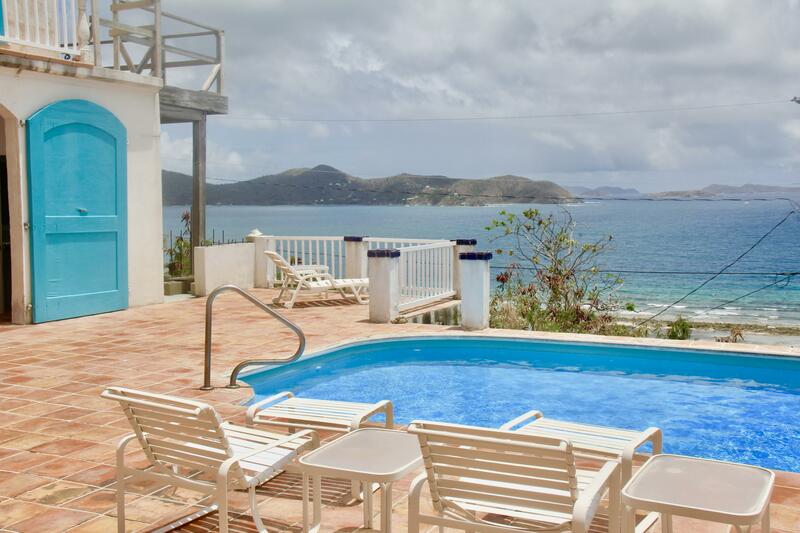 This well maintained property consists of 2 pods on one level joined together by a pool and spacious sun deck. Villa Good Vibes- A fortress in the hilltops, waiting for you to complete the vision! This end of the road location offers utmost privacy with the closest neighbor 150 ft away. Opportunity to live in the temp cottage while finishing your ultimate dream home. This romantic layout is full of surprising features such as Roman columns & winding concrete staircases. 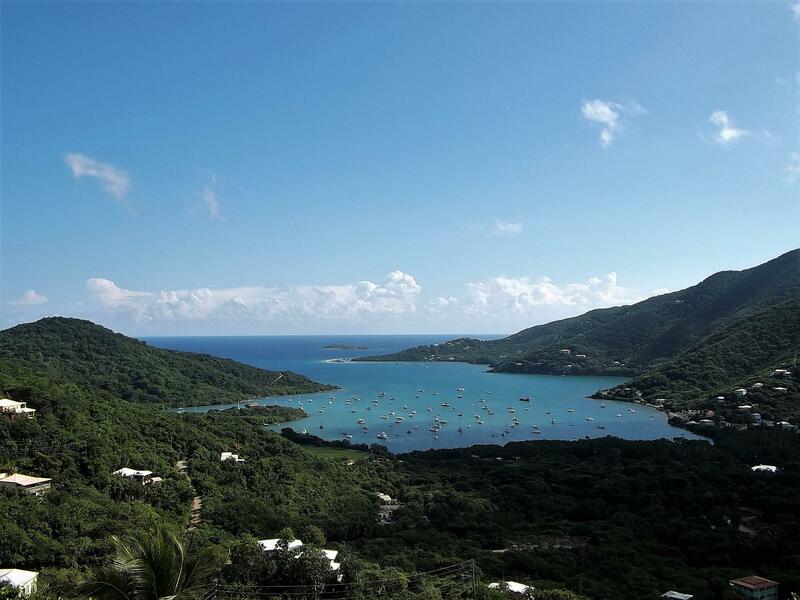 BoAtabey is located on a private and quiet hillside setting overlooking Coral Bay Harbor. The home has an open layout with a central great room flanked by 2 large bedrooms with baths en-suite, each feature native stone outdoor showers. Outside, the sunny pool and deck area is surrounded with lush gardens. Recently updated, Coral Rhapsody is a very spacious three bedroom, two and one half bath home situated on a private over sized lot offering commanding views of Coral Bay Harbor. Floor plan is flexible allowing for addition of a bedroom suite or conversion of lower level into separate one bedroom apartment. Villa Bellezza! This beautiful duplex and NO damage from Hurricanes Irma and Maria!Two complete 2 bed / 2 bath units. One up and one lower. Nice view of Fish Bay from upper unit. Lot's of potential to live in one and rent the other, short term , long term or rent both! Rental income average of $9k per month. Are you looking for a great opportunity? Well, look no further. This partial hurricane-damaged home has a lot to offer. With some repairs from its possible new owner (you), this house can be a successful rental property again. 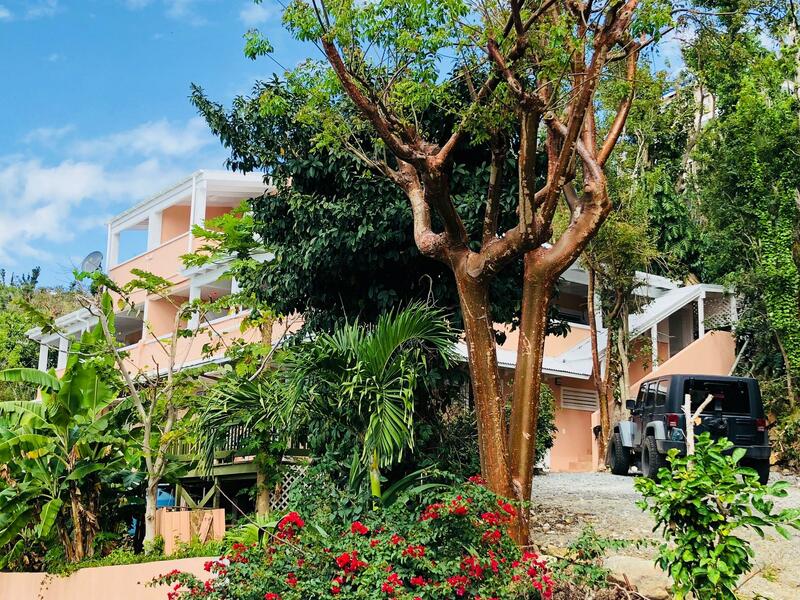 Villa Agel features 5 bedrooms, 4 baths, and a lovely 1 bedroom, 1 bath apartment below. 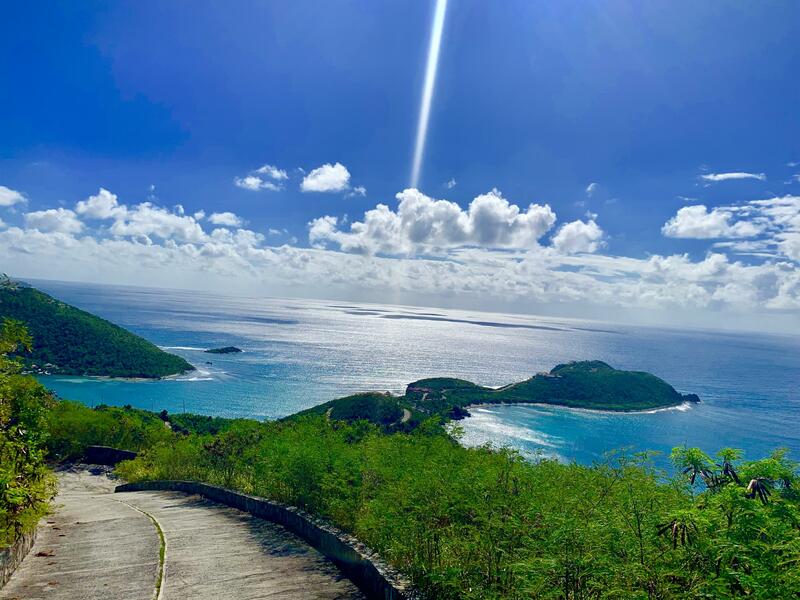 This is an excellent opportunity to build the ultimate dream villa with panoramic South Shore views from beautiful and private Upper Monte Bay subdivision. Featuring stone walls, paved roads and underground utilities this pristine location will remain as such due to the Jackson Hole Preserve and Developer Deed Restrictions. 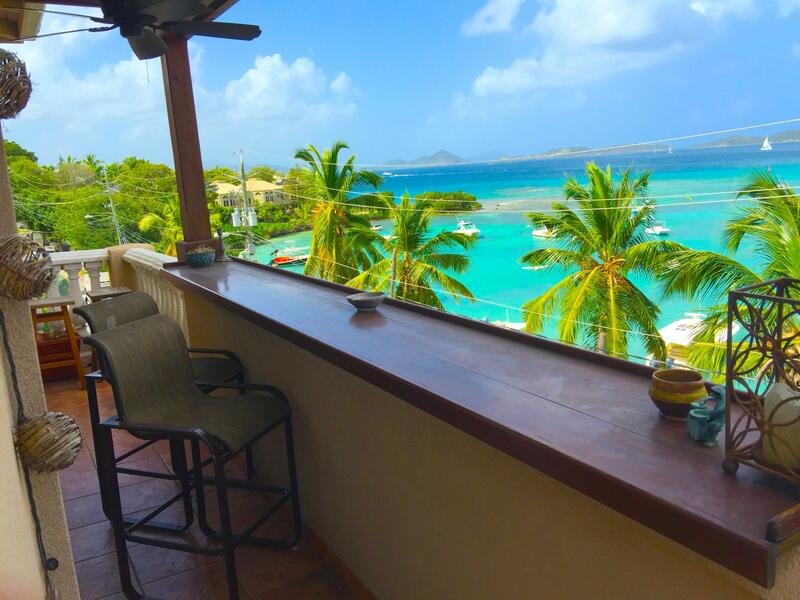 Recent upgrades at La Sirena including mini split A/C units in bedroom, roll down hurricane shutters, new stove and refrigerator, newly added landscaping and fencing. 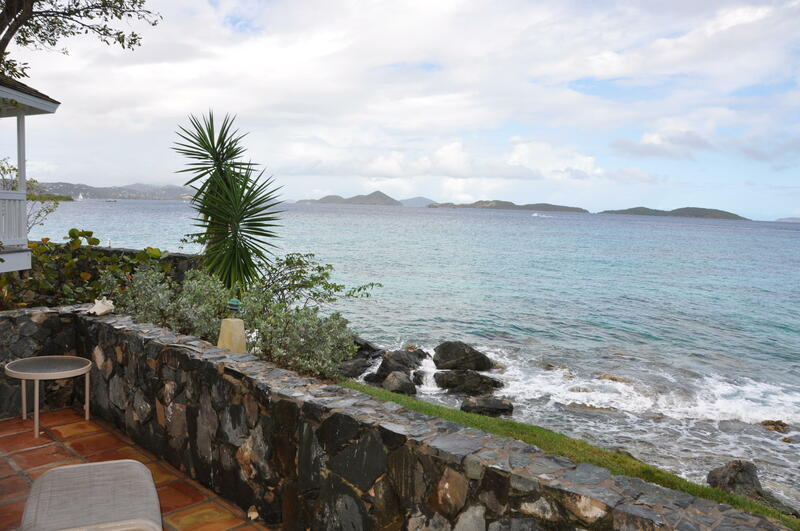 Walk to several beaches from La Sirena. 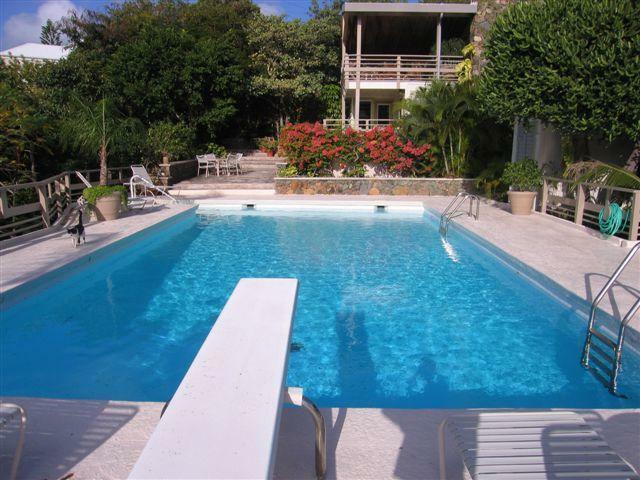 Located in quiet Estate Mandahl, this masonry pool villa offers 2 bedrooms, 3 baths plus a loft. The large masonry salt water pool is surrounded by a tiled deck and pool cabana. 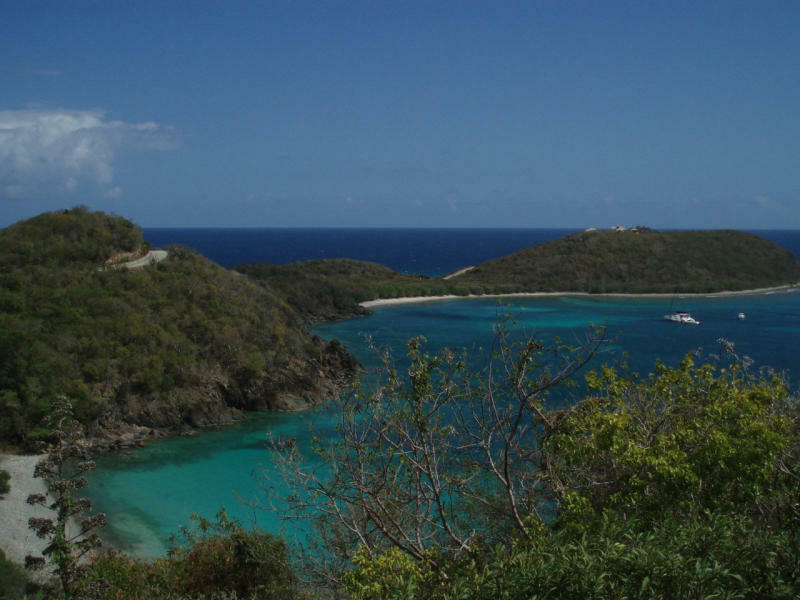 Estate sized waterfront building site with panoramic views overlooking Privateer Bay and beyond. Lot features underground utilities, paved roadways, and may be subdivided into two sites (will require payment of two annual HOA dues). 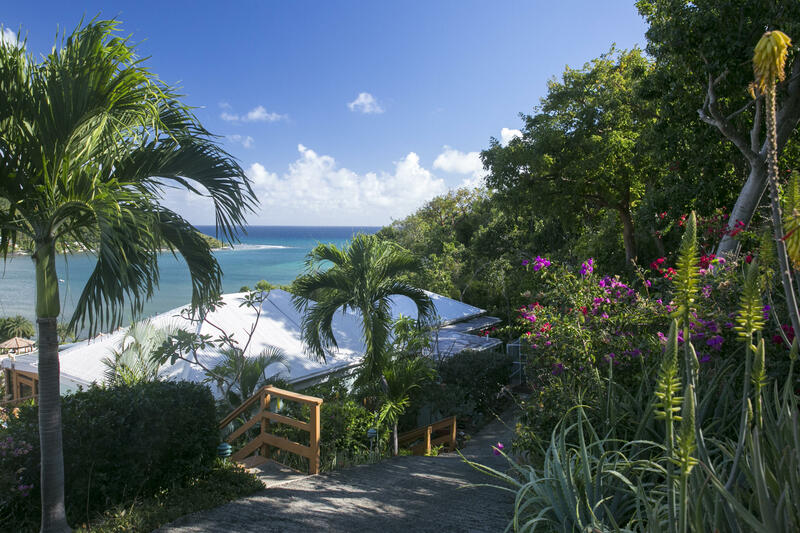 Access to two beach cottages and other related facilities available for exclusive use of homeowners. Calling all watersport enthusiasts. 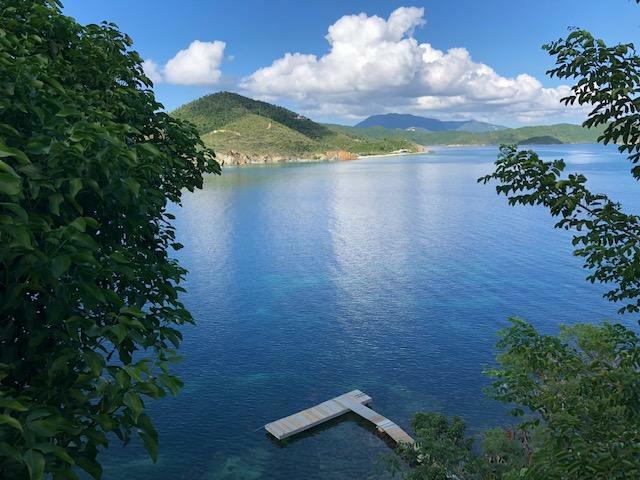 Walk down a winding stone staircase to calm, sheltered waters offering world class snorkeling, kayaking or paddle boarding right out your front door. 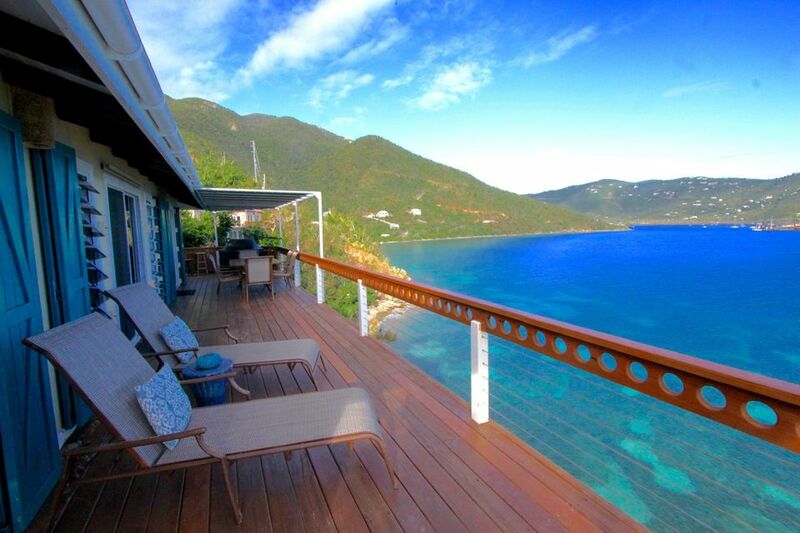 Blue Orchid's prime waterfront location ensures privacy as well as incomparable views. Perched on the peninsula with nothing between you and the commanding 270 degree water views, this unit is steps from the pool and beach. High finish quality throughout this completely refurbished unit with elegant fixtures and furnishings, set this unit apart from others in the complex. 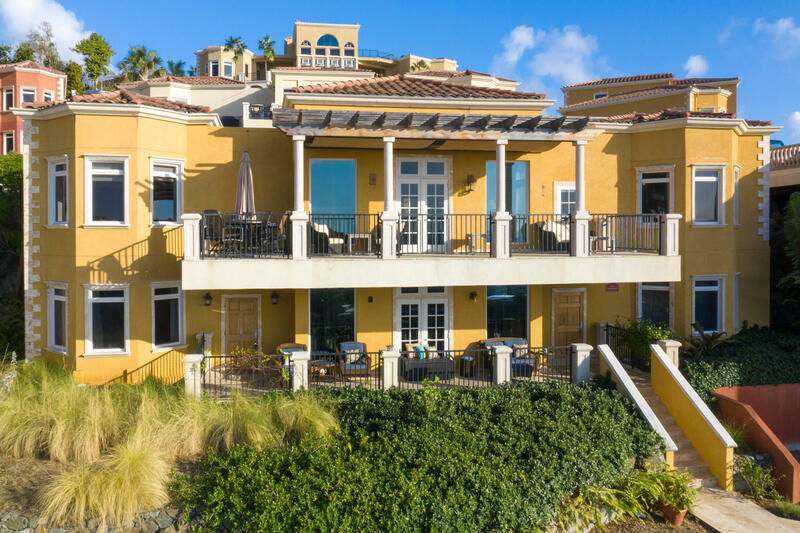 Sirenusa is a beautifully landscaped Tuscan style village featuring refined amenities, expansive ocean views and year round sunsets. Positano is a large well furnished 2 bedroom, 2 1/2 bath with spacious walk in closets and comfortable living/dining area. The bedrooms are well appointed and designed for optimal privacy. 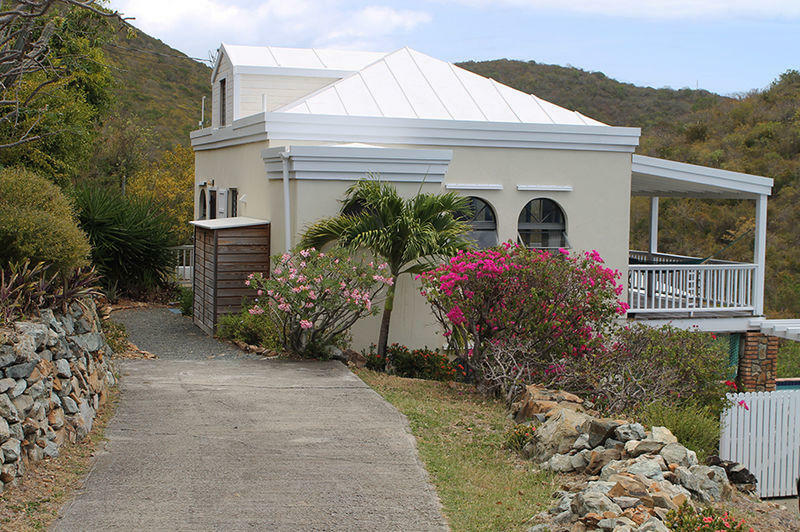 HaborSide is a unique home situated in Coral Bay with cool easterly breezes and views of boats anchored in the harbor. This 5 bed 4 bath home with separate studio apartment is a private residence but was originally designed as a B&B. The large pool and spacious pool deck offer the perfect spot to lounge and soak up the sun throughout the day.